I hope you've all had a better eating/exercising week than I have! It was actually really hard for me to come up with something I did right this week. After the little bet I had going with my sister was over, I started snacking on things here and there without counting them, and then making bad food choices. But, I felt AMAZING after yesterday's tempo run, and it pushed me to get back on track before I gain five pounds this week. I am proud of myself for choosing to do my tempo run outside in the humidity, rather than on the treadmill. The treadmill feels so much easier for me, so it was very tempting to do that instead of go outside, where I knew it would be a tough run. But I did it, and I was really glad afterward! This is Shawn, my brother-in-law (Jeanie's husband). He didn't submit this, but I was really excited for him, and just had to share his news. Shawn started running in December, the same time as Jeanie, in order to finish the Virtual 5K for my birthday. He didn't realize it at the time, but Shawn is FAST, especially for a beginner. 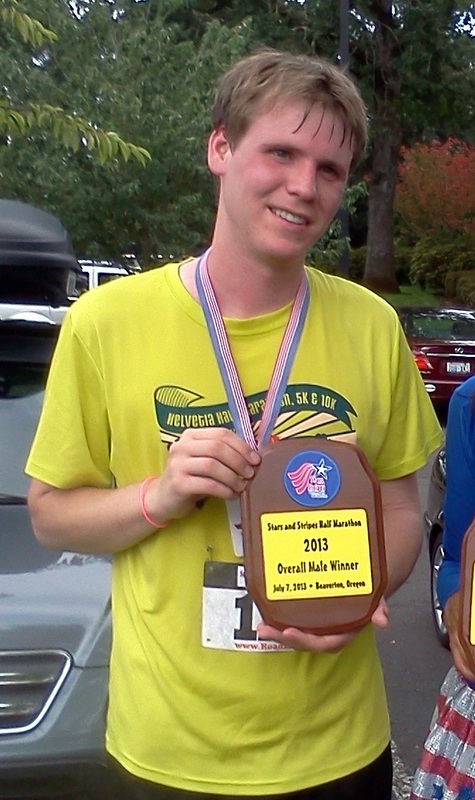 His first half-marathon was the same race that I flew into Chicago to run with Jeanie in May. I told him that he had some serious potential to win age group awards, and I wrote a training plan for him to focus on speed for shorter distances (which he prefers). Well, here he is after winning second place in his age group on the fourth of July! His finish time for a 2.8 mile race was 19:36--a crazy fast 7:00/mile. 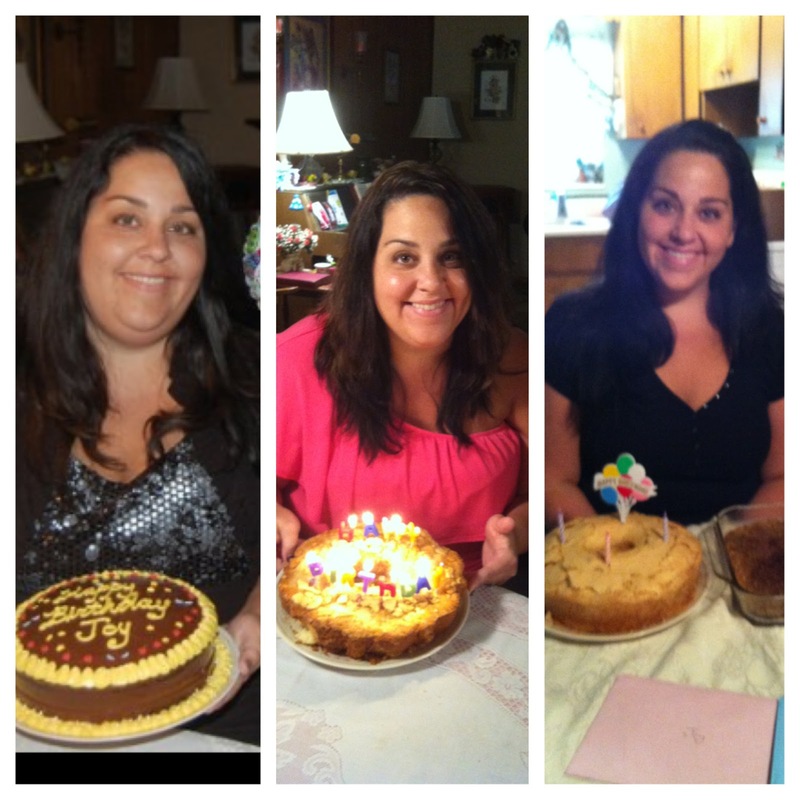 Joy just celebrated her 34th birthday, and was excited to see such a big difference in her birthday pictures over the past few years! She's lost a whopping 94 pounds (by doing MyFitnessPal and exercising--everything from Zumba and Body Pump to running 5K's). Quinlyn was never very interested in running, because she thought it was all about running laps around a gym or on a treadmill. 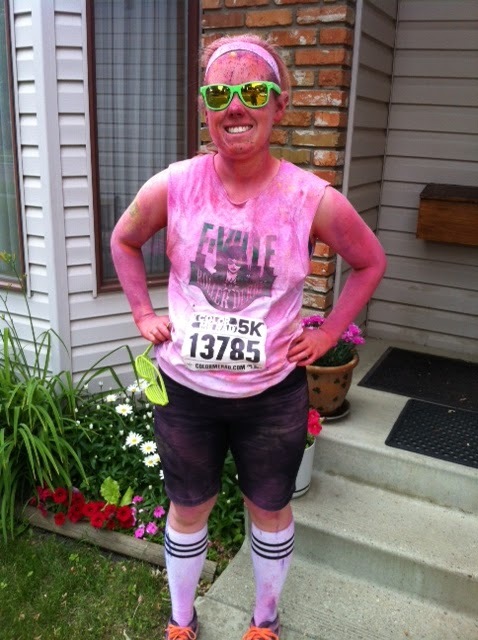 But she thought the Color Me Rad 5K looked like fun, so she started training. She just finished the 5K, and said she had a BLAST! She thinks it's a great race for newbies, because it's such a fun atmosphere. Thomas WON A RACE--as in, he was the first person to cross the finish line! He modestly pointed out that it was a small race, but how many people can say they've won a race? When my kids ask me if I won after a race, it always makes me laugh ;) He also set a 9-second PR in the half-marathon with a time of 1:39:40. (I'm impatiently waiting for his race report; hopefully it will be on his blog by the time this post goes live). Cathy ran her first 5K (a color run), and said, "...tears ran down my face as I ran across the finish line." She never imagined this would be possible; in February, she had three surgeries, and during the last one, her lungs collapsed. She said that just trying to talk to her kids took every ounce of air and strength she could manage. When her doctor finally released her to start exercising, she started walking (losing 35 pounds in the process). 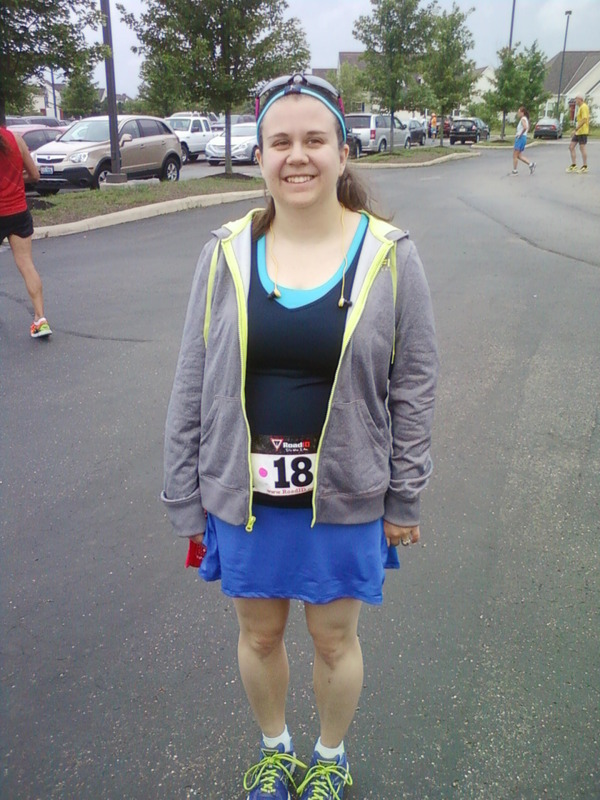 At first, she was walking 26 minutes per mile; and she just finished her 5K in 54 minutes! I've sent you an e-mail, so please make sure you respond. I'll get your info to CamelBak. Enjoy the water bottles! We are :) Being accountable to someone helps me a lot! I want to run the color run so bad! !